Senvion, a leading global manufacturer of wind turbines, has won five contracts in Belgium totaling 45 megawatts (MW) for the Senvion 3.4M114, 3.0M122 and MM100 turbines. The five contracts are with a range of clients and consist of three projects located in the Walloon region and two in the Flanders region. 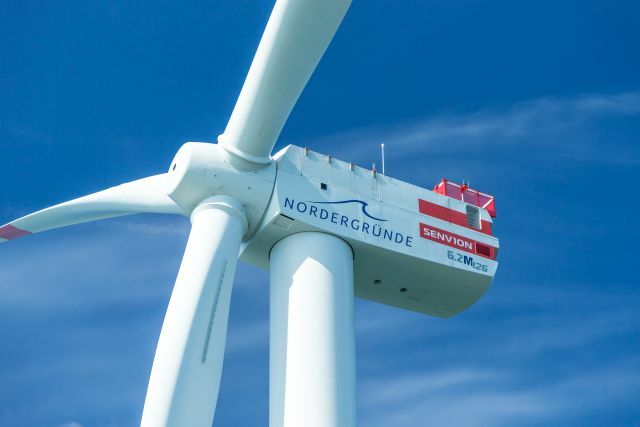 Nivelles project, located in Walloon and developed by Ventis S.A, has been agreed on a turnkey basis with Senvion responsible for the foundation works and the delivery of four Senvion 3.4M114 turbines. The installation and commissioning are planned for summer 2017. Senvion will also install five MM100 turbines for the Molenbaix wind farm, developed by Eneco and the Cooperative CLEF, and four MM100 turbines for the Moulins Saint Roch wind farm, developed by Ipalle. The commissioning is due to be completed at the beginning of 2018 for Moulins Saint Roch and in spring 2018 for Molenbaix. In the Flanders region, the Meerhout wind farm, developed by Engie Electrabel and which will be operated by Wind4Flanders, will consist of three 3.4M114 turbines. Minderhout wind farm, developed by Storm, will be equipped with one 3.0M122 turbine at 180 metres tip height. Both Meerhout and Minderhout are planned to be installed for autumn 2017 with commissioning due by the end of this year. Senvion has agreed full maintenance service contracts for the Nivelles, Molenbaix, Moulins Saint Roch and Minderhout wind farms for 15 years with an extension up to 20 years. Senvion will also provide the maintenance for the Meerhout wind farm for five years with an extension up to 15 years. Active in the Belgian market since 2004, Senvion has installed nearly 700 MW in the country and is the second largest wind turbine manufacturer with 30% cumulative onshore and offshore market share.